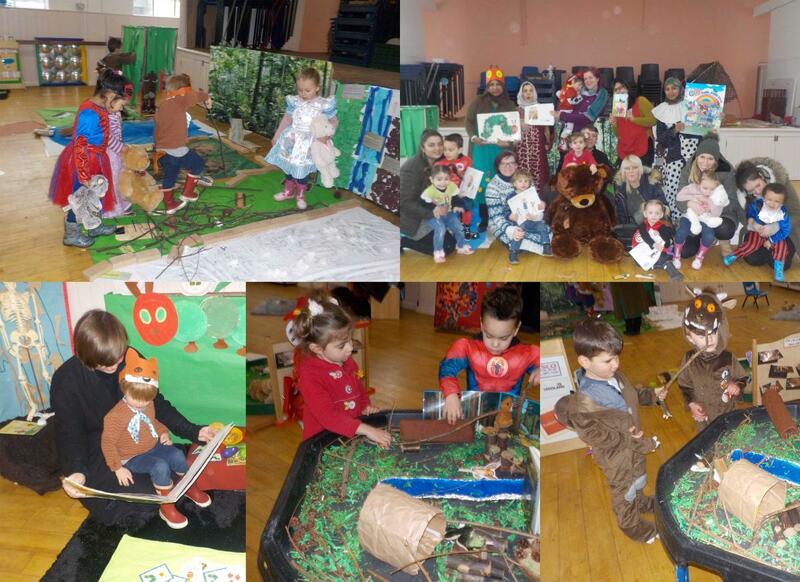 Here's our round up of World Book Day celebrations, including some of the fantastic creative activities Alliance member settings enjoyed on the day, with the classic We're Going on a Bear Hunt by Michael Rosen this years' particular favourite story for settings to celebrate. We also asked the Alliance's senior management team to share their own best-loved children's stories. Despite some less than co-operative weather across much of the country, lots of Alliance members shared their creative World Book Day celebrations with us - read all about them below! "Here at Pebbles Pre-school we chose to celebrate World Book Day, and went on our bear hunt a week late so that all our children were able to join in (as due to the snow we could not do it on World Book Day). Our children and staff all dressed up as their favourite book characters and brought in their favourite books to share with each other, we also had very special guest (one of our nanny’s) come in and read to our children which they are thoroughly enjoyed. 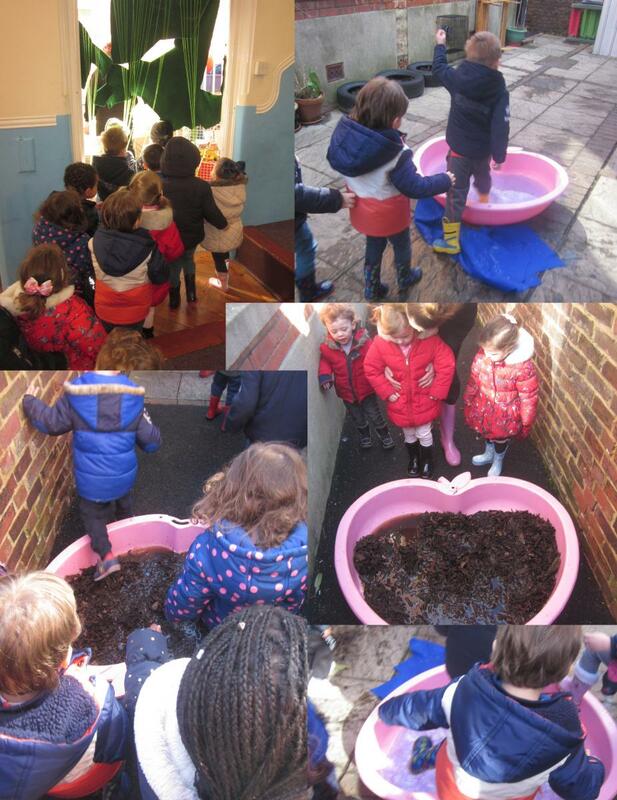 As part of our bear hunt day everyone came to pre-school in their wellington boots and the children were read We're Going on a Bear Hunt before going on a bear hunt of their own, then later the children also had bear hunt themed activity’s to enjoy." "This is a traditional folk story about a traveller who wanders through the forest looking for a place to stay. A woman offers him her floor to sleep on for the night. 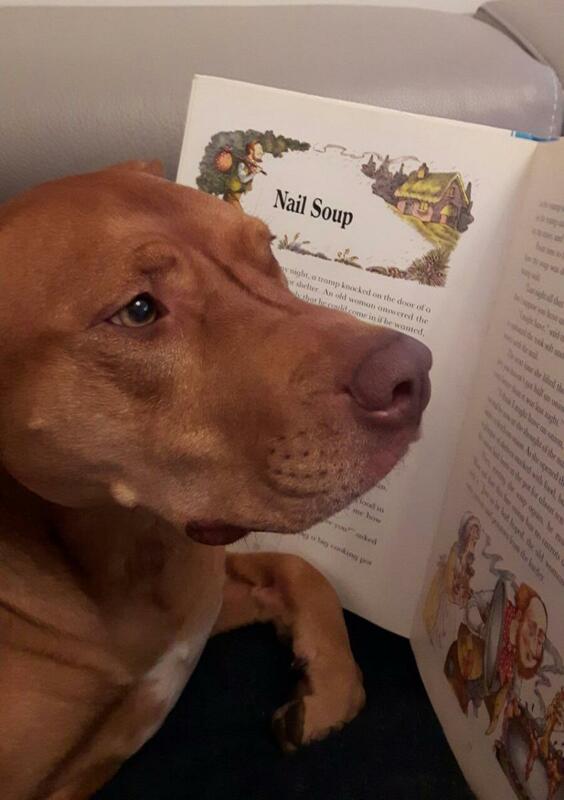 He convinces the woman that he can make soup from a four-inch nail. My sons and I really enjoyed reading this story over and over again. It remains a favourite in our house – even the dog likes it." They came across lots of obstacles along the way, long wavy grass, a deep cold river, Thick oozy mud, a big dark forest, a REAL swirling whirling snowstorm and a narrow gloomy cave. The children couldn’t go over it, they couldn’t go under it so oh no, they had to go THROUGH IT!!! They had lots of fun, following the story as they went around the garden exploring the different areas of the bear hunt. They splashed their way through the deep cold river, they squelched on through the thick oozy mud and they tip toed through the narrow gloomy cave. "We’re not going on a bear hunt again!" We made our very own bear hunt sensory bottles and bags - the babies loved exploring and playing with these. We also made bears out of chocolate playdough. The toddlers explored the bear hunt sensory tuff tray, interpreting the story themselves. The pre-schoolers practiced their writing skills from different phrases from the story. They also drew their own pictures from the book." 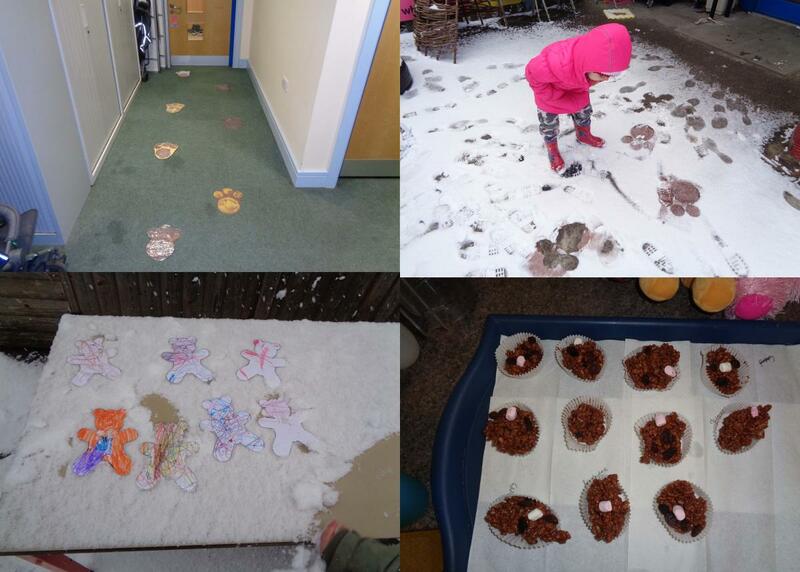 "Here at New Woods Childcare we ended up having 2 weeks of bear hunt activities due to having snow part of last week- we have had a few bears visit nursery and have left paw prints all over! 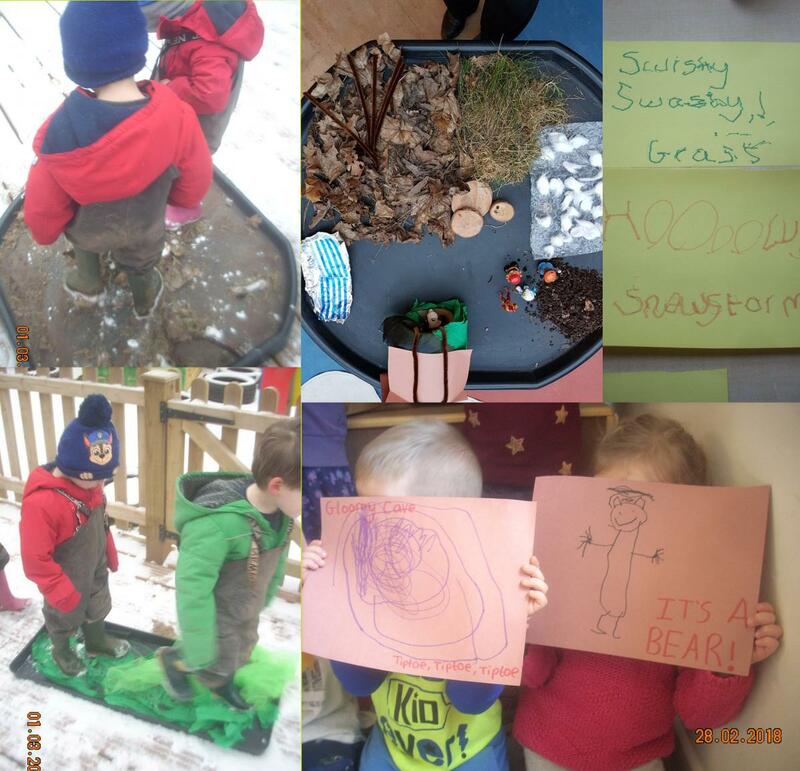 The children have all had great fun hunting for bears both inside and out, we had a teddys bears picnic in our pyjamas and made some yummy teddy bear crispy cakes." 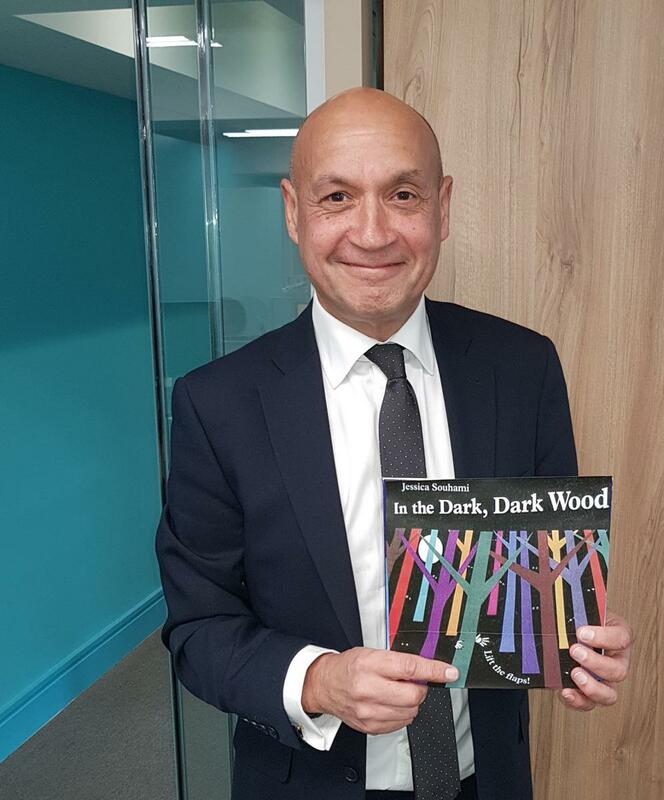 "In the Dark, Dark Wood by Jessica Souhami is my favourite children’s story. It’s based on a traditional rhyme that will be familiar to many ‘in a dark, dark, wood, there was a dark, dark house and in the dark, dark house' etc... I particularly like the suspense in this book, it really keeps the children on the edge of their seats and of course we all love the scary surprise at the end." "Unfortunately the weather wasn’t great on the actual day but we managed to make masks with the families in our ladybirds session. 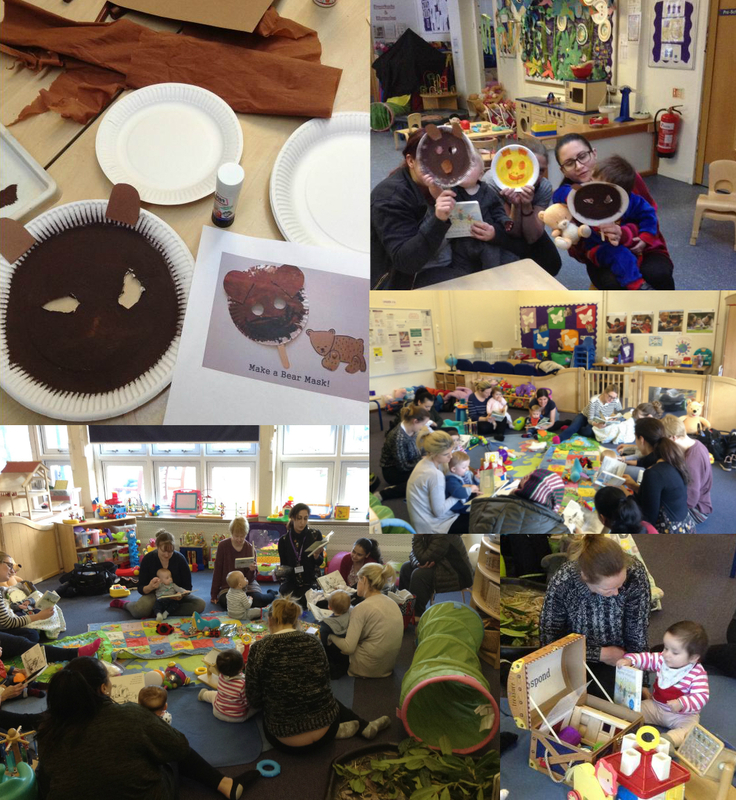 We also read the We're Going on a Bear Hunt story with families in our busy babies session, using props to recreate the story. All the parents read the story alongside the staff member and this was a real success." "The snowy weather didn’t put us off from celebrating at Round House! We created indoor stations for the children, focusing on the different descriptive words in the story We're Going on a Bear Hunt, listening to the sounds and exploring the textures. We looked at light and shadows within our ‘cave’ and the children created a storyline from memory. 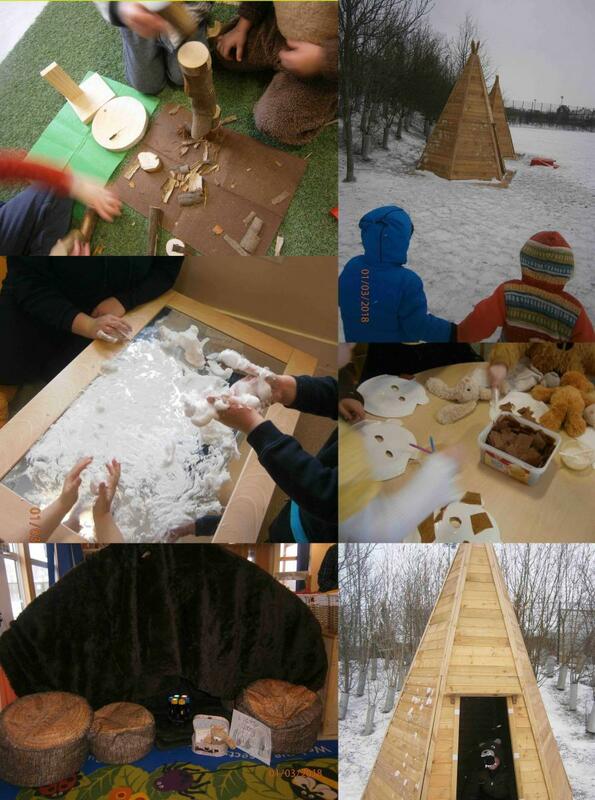 At the end of each session the children went on an actual bear hunt on the field, in our real life snowstorm to find our ‘bear’- then of course to warm up we had hot chocolate and marshmallows." 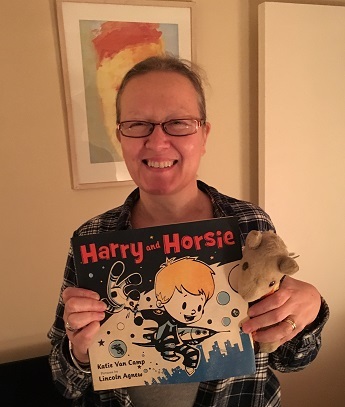 "My favourite children’s story is a picture book called Harry and Horsie by Katie Van Camp about the adventures of a boy and his beloved best friend, Horsie. I was given this book because I was inseparable from my toy ‘Horsie’ when I was small. It’s an exciting story of space adventure but I think it is the illustrations that make the book stand out. As you can see, I still have the book - and Horsie!" "I love all the Julia Donaldson and Axel Scheffler books. The rhythm of the text, the glorious illustrations and each with a gentle moral message that children engage with instinctively. 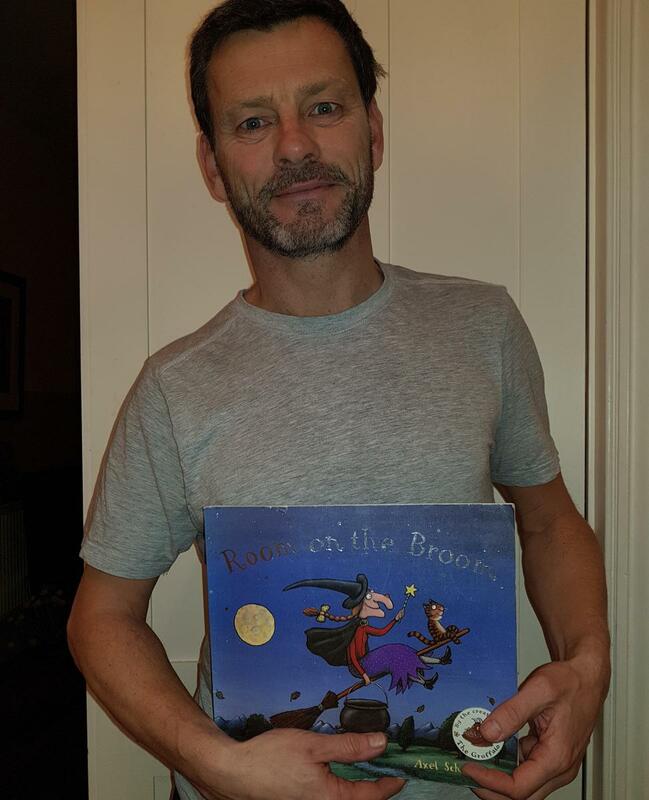 My favourite is Room on the Broom. The story follows a friendly witch as she offers a ride on her broom to a range of animals. The witches kindness is repaid when they combine to scare off a hungry dragon who is about to eat her. I chose this book simply because there are a range of characters that allow me to practice lots of different voices as I read the story out loud. Also the line at the end of each chapter ; "the witch tapped her broomstick..." leads the children to shout the response ..."and whoosh they were gone." The book is fast paced and thrilling, definitely not one for calming down time in the setting."